Welcome to the first edition of Apoca-LIST, a weekly rundown of pop culture and entertainment characters that you’d want on your side in the event of a global apocalypse. No thanks, apocalypse. We’re all set. Whether the apocalypse is due to an alien invasion, zombie outbreak, or a comet hitting the Earth, you’re sure to need the Smurf equivalent of Superman on your side. Any fan of apocalypse stories knows that one of the scarcest commodities in the post-apocalyptic wasteland is food. Who better to have on your side than the serial hoarder, Greedy Smurf. He’s sure to have a huge stockpile of non-perishable canned Smurfberries in that mushroom house of his. And when you run out- eat the house! When the world ends, survivors are going to need someone who can build things. Whether it’s weapons, shelter, or makeshift nuclear power plants, Handy is your guy. As any fan of The Walking Dead knows, when living in close quarters with other impoverished survivors, an outbreak of disease is inevitable. It would certainly be helpful to have a doctor around. A mechanical Smurf that can take “the work out of work”, Handy’s creation would be an invaluable (and unkillable) ally in the event of an apocalypse. 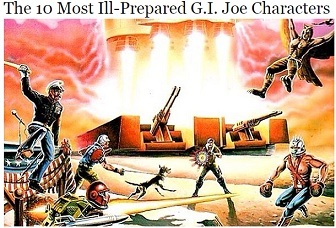 You could send him out on missions with no fear of death by zombie, disease or weather. Bonus: on a cold night, you can burn his non-essential appendages for warmth. Because every group of survivors needs a Daryl Dixon. The unquestioned leader and the smartest of the Smurfs. He was the only Smurf who was able to solve the Purple Smurf epidemic, although his cure almost didn’t work. In keeping with the Walking Dead theme, consider him your Herschel Smurf. Brian Morin (@bmorin54) is a fan of anything 80s. He hosted an 80s themed radio show while in college which justified his library of over 250 eighties CDs, and currently co-hosts The Walking Dads, a Walking Dead-themed podcast. 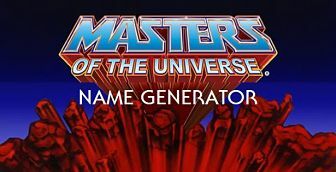 Next post: What’s Your Masters of the Universe Name?